Your strategy may seem savvy at first, but all strategies require legwork to execute properly. Most days it means a lot of legwork. The key is to pick the right place to invest your efforts. Furthermore, you need an innovative approach to the work you do nowadays to be competitive. 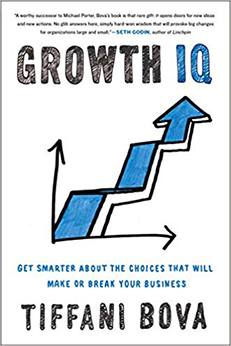 If you want to learn more about where to invest your efforts most effectively, pick up the book Growth IQ: Get Smarter About the Choices That Will Make or Break Your Business by Tiffani Bova. 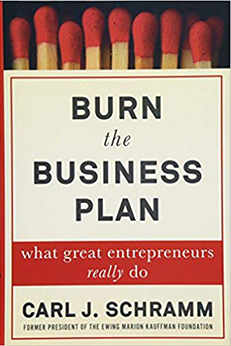 The book shares a number of case studies from startups and larger brands to teach small business owners how to invest efforts more effiiently. Bova is a customer growth and innovation evangelist at Salesforce. She has lead large companies ranging from startups to Fortune 500 businesses, on top of 10 years spent at Gartner. Small Business Trends received an advanced copy of the book before its August 14, 2018, release date. What Is Growth IQ About? Bova provides a set of case studies a few pages deep, with key takeaways at the end. The cases are arranged as Paths — the book’s name for growth strategies various companies in the study undertook. Many of the takeaways focus on finding more innovative ways to invest effort and avoid relying on a business’s past strengths. This approach takes a unique look at strategies as an executable framework. The information is thankfully presented in a brief enough format to fit the busy business owner’s schedule allowing it to be consumed quickly. Bova’s selection of businesses is very broad, incorporating recent business news such as Amazon’s acquisition of Whole Foods. Successes examined include Lemonade Insurance, Shake Shack, Blue Apron, Netflix, Lego, Kylie Cosmetics and The Honest Company. Traditional enterprises such as Sears, McDonald’s and Walmart are also examined. “One team would be focused on bringing in new revenue and protecting the existing business from an unwanted decline….the second is what I like to call a ‘pop-up team’ which is a group focused exclusively on the planning and execution of all new growth paths,” Bova writes. Another great feature is the attention Bova gives to business trends. The attention leads to workable ideas for the entrepreneur with respect to a market or internal operational challenges. When Bova covers the experience former Tom’s Shoes CEO Blake Mycoskie had with the growth of the shoe retailer, for example, the reader gains key insights into the use of social entrepreneurship and into recognizing when to step back to discover how to reinvigorate a business model. Mycoskie took a sabbatical from the CEO position when he realized the innovation his company needed. “During that hiatus, Mycoskie pondered the fate of his company and its philosophy. He realized that the company he founded had become more focused on process than purpose. It had lost its way,” Bova explained. Mycoskie’s sabbatical led to new strategic decisions, such as enlisting a CEO more experienced with socially conscious businesses to run Tom’s Shoes. “The key to operating any of the ten growth paths is to ride them until you have wrung out every ounce of revenues, profits, and market development and then make the next leap…..establish metrics for your company’s health and put systems in place to monitor those metrics….the goal his to create a fast-enough feedback loop to identify new trends within a company before they fully emerge and have major impact,” Bova writes. Did you notice the mention of metrics? If you still think analytics is not important to your success, then you’re probably struggling…and you must read this book to get creative. It would have been nice to read more advice specifically pertaining to operations. 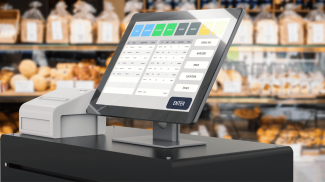 While much advice sensibly relates to customer experience, but it would have been helpful to see more case studies showing best practices for businesses seeking to launch a new product or service and facing difficulties with logistics. Other case studies examine partnerships where manufacturers are involved. The Fiat-Chrysler, BMW and Intel agreements show how competitors can work together to meet large logistics challenges. You’ll also find a section dedicated to combined paths. The section features a case study on the only famous company that has ever successfully leveraged its operations as a platform: Amazon. Readers looking for innovation can consider this book an MBA-level crash-course in spotting opportunities to improve. Getting better at spotting opportunities will make a difference when working to get your business unstuck and growing. The ideas complement other books on competition such as How to be a Fierce Competitor and on Aligning Strategy and Sales. Choosing the right strategy is essential to making a business grow. Your business growth can gain a fast start with Growth IQ. It is all about having an affinity for growth. Of wanting to grow and knowing how to face failure. Growth IQ for me is knowing the things that you have to do to propel your business forward. We live in the age of innovation so this came just in time.